A quick blogsquat from Jenny Hughes…. I have been fascinated by the Yellow Arrow project and my mind is working overtime thinking of of ways it could be extended from art to education. For those of you who have not come across it yet, the Yellow Arrow project is a global public art project that started in New York and is now an underground movement that has spread to over 450 cities in 35 countries. Basically, you download a yellow arrow sticker from the project website and stick it somewhere public. If someone sees the sticker, they can text the code number on it to a particular telephone number and will immediately receive a text back with a message left by the person who put the sticker there. So the yellow arrow basically means ‘there’s more here: a hidden detail, a funny story, a memory or a crazy experience.’ Each arrow links digital content to a specific location using the mobile phone. The yellow arrow messages range from personal reflection to concrete information about, for example, the history of the building the arrow is stuck on. They sort of cross the divide between tourism and art. Now I got interested in the idea during the Taccle training courses and tried out a variation on this using a commercial application, which was actually nothing to do with the Yellow Arrow project. (For details of this see, my previous post http://www.pontydysgu.org/2009/11/25-practical-ideas-for-using-mobile-phones-in-the-classroom/ ) I stumbled on the Yellow Arrow idea when I was browsing around for ideas on getting teachers to explore mobile technologies. It seems to me that there are endless possibilities for developing ‘Yellow Arrow Learning. – The text messages could have an explicit learning content. The arrows could be coded by subject area or topic. Using a Google maps mash up you could design learning trails. You could get whole communities involved – why not a local town (like Pontypridd) becoming a Yellow Arrow Learning Community? Get all the schools involved as well as local industry. So a yellow arrow stuck on the brickworks could lead to a video of bricks being made. Why not extend the public domain yellow arrows to the inside / private domain as well – yellow arrow work based learning? The possibilities seem endless. The technology is simple. It might, in the future be upgraded to augmented reality applications or use QR instead of phone numbers – or both. Graham and I are both interested in doing some work to progress some of these ideas and possibly putting in a funding application or working with someone else who wants to. It could be quite an edgy project if we can get a really creative team together. If any of you are interested and have some ideas, please get in touch. More thoughts on competence – mostly in my attempts to develop an idea of how mobile devices could be used for learning in the workplace – and in particular for practice based and informal learning. This definition is counter-posed to the more narrow and functionalist views of competence more common in the UK and USA research and education and training systems. In this post I want to revisit earlier research work in Germany by Gerald Heidegger and Felix Rauner who looked at occupational profiles. Occupational profiles are in effect groups of competencies based on individual occupations. In Germany there are over 360 officially recognised occupations. Heidegger and Rauner were commissioned by the Government of Rhineland Westphalia to write a Gutachten (policy advice) on the future reform and modernisation of the German Dual System for apprenticeship training. They recommended less and broader occupational profiles and, if my memory is right, the idea of wandering occupational profiles. By this term they were looking to map the boundaries between different occupations and to recognise where competences from one occupation overlapped with that of another. Such overlaps could form the basis for boundary crossing and for moving from one occupation to another. Per Erik Ellstroem from Sweden has put forward the idea of Developmental Competence – the capacity of the individual to acquire and demonstrate the capacity to act on a task and the wider work environment in order to adapt, act and shape (design) it. This is based on the pedagogic idea of sense making and meaning making through exploring, questioning and transcending traditional work structures and procedures. In a similar vein, Rauner has come up with the idea of holistic work tasks, based on the idea that a worker should understand the totality of the work process they are involved in. He has proposed collaboration between small companies to ensure broad based training for apprentices. One of the major problems within the German apprenticeship training system (which accounts for over half of the age cohort leaving school each year) is lack of co-ordination between the school and company based parts of the training. However, a mobile based Personal Learning Environment could allow apprentices to control their own learning and sense making through linking up practical tasks in the workplace to the more theory based school learning. Informal and work based learning could potentially be mapped against competences with such a system. A quick post about mobile devices and work based learning – which I know I have been going on about a lot lately. applications designed to provide information for students – about their courses, lecture times, venues, transport information, buildings etc. There is nothing wrong about any of these and they all may be useful in pushing mobile learning forward. But I think they may fail to really extend forward ideas about tecahing and learning 0 they are all essentially repackaging existing elearning applications for mobile devices. The big potential I see for mobile devices is in their affordances of being always on – or almost always on, in the fact that we already accept the idea of the frequent but sporadic use of the devices for all kinds of activities such as taking photos and messaging – as well as making telephone calls – and that they are portable. in other words – taking learning support to areas it has not been taken to before. And prime amongst these is teh workplace. It is little coincidence that many of the main take-up areas for elearning are for those occupations which involve regular use of computers e.g in ICT occupations, in marketing and management etc. Ans one of the main issues in developing elearning for vocational or occupational learning is the contextual nature of such learning and the high cost of producing specific learnng materials for relatively low numbers of learners. Vocational students often wish for learning materials to be in their own language, thus exacerbating the problem of small numbers of users for specific occupations. It is also interesting to note that despite many researchers pointing to the importance of reflection as a key pedagogic tool, there has been limited pedagogic and technical development to facilitate such an approach. The use of mobile devices can overcome this. They can be used in specific contexts of location, tasks, experince, colleagues and allow ready means of reflection through the use of photographs, video, text and audio. If linked up to a server based ‘portfolio’ this could form an essential part of a Personal Learning Environment. Furthermore the learning materials become the entire work environment, rather than custom built applications. And tools such as Google Goggles could easily be incorporated (although I have to say it seems more alphe than beta ot me – I havent managed to get it to recognise a single object so far!). I am mush taken with a free Android Ap called Ontheroad. It doesn’t do much. It is designed its ays for you to share your adventures on the road You have to set up a free account on a web site. You can publish active trips (I am going to try to make one this week). You can add articles including your position by GPS, you can add text, multimedia, dates and choose which trip to publish it to though the telephone network or by SMS. You can browse existing articles and look at comments. You can add media including photos already on your gallery. Or you can record a video (audio support seems limited). And it is all synced through a server. It would not take much to refocus this app to a Learning Journey, rather than a road trip. And it could be incredibly powerful in terms of work based learning. So I do not see a great technical challenge. the bigger challenge is in developing a pedagogic approach which incorporates informal learning in the workplace and such a portfolio based on practice within formal approaches ot education and training. If you are interested in working with me to develop these technologies and ideas please get in touch. Personal Learning Environments in the Cloud? I am surprised that there has not been more discussion of the UK Open University’s decison to sign up to Google Education for cloud computing services. Interestingly, The OU, the UK’s largest univeristy, will not at the moment be giving staff access ot the system, presumably becuase of concerns over security and confidentiality. “The VLE is the University’s space where it publishes its courses, and students come to study that material and perform some course-specific activities. Google tools / ePortfolio / PLE / student’s own laptop are the student’s spaces for keeping and managing their learning. In a traditional bricks a and mortar, chalk and talk setting, the VLE is the lecture room and labs; and Google tools are the student’s room in the hall of residence, or possibly their leaver-arch file. ” The cloud can be seen as one big autonomous system not owned by any educational institution. Let the Academics or Learners be the users, of some cloud based services, who all equally share the privelages like control, choice, sharing of content etc on these services. Then this is different from a PLE, a VLE and a PTE. For example Google Apps for universities is hosted on the cloud, not fully controlled by any educational institution and certainly not owned by one. The tools on it are to a great extent academic or learner controlled. Each “Google Site”, for example, can be owned by an academic or a Learner and both users be given the same rights/control by one another (depending on who creates first). Likewise Google Docs can be owned and shared between learners themselves or learners and academics under their own control. I think Malik is wrong is distinguishing between PLEs and CLEs (and to be honest, we really need just to advance our understandings of PLEs, rather than invent yet more acrobyms and terminology). If we go back to the blog entry which strated it all – Scott Wilson’s “The Future VLE?”, it was always clear that a PLE would include different third party services (even though cloud computing was not a term invented then as far as I know). However, there are a number of interesting issues raised by the move towards cloud services for students. Firstly, the services provided by Google make it very easy for s student to develop their own PLE. One of the long running concerns about PLEs has been whether or not all students have the knowledge and skills with technology to develop their PLE. This may overcome such concerns. Furthermore, in a podcast interview with Niall I made three years ago, he expressed the concern that university computer services had a duty to provide support for all applications a university was using for tecahing and learning. If PLEs were to be introduced he argued, this would be impossible due to the very diversity of different platforms and applications. Presumably, the deal with Google overcomes that issue. Of course it is all to easy to see Google as the new evil empire, taking over education. But unless the nature of the deal between universities totally ties down systems, it should be relatively easy to integrate third party services with the Google apps, at least for someone with reasonable digital skills. And although Niall Sclater refers to ePortoflios, I see little difference in the way this is developing to a PLE. Of course, there are worries about trusting a PLE to third party commercial companies. But data is not locked down on Google in the way it is on platforms like Facebook. it should be relatively simple for a learner to keep copies of important work and data on their own computers (and indeed to update those copies when they change computers). Interesting, from my present interests, it should be relatively simple to integrate Google apps with the Android platform, this making mobile learning much cimpler (ignoring of course the problems with cross paltform use). Of course the proof will be in the use. Will teachers start moving to Google apps rather than use the Open Univeristiy’s Moodle platform? Will learners develop their own PLEs? How will the Google apps integrate with univeristy services and applications. Will data be secure and will Google continue to support student PLEs even after they have left university: Is this just a new form of lockin? And how reliable are Google services? Do the moves by Portsmouth and the Open University herald a large scale shift by educational institutions to cloud services? Most of all – will the use of these services provide new pedagogic affordances which will lead to changing practices in teaching and learning? Tims will tell. Is the way we are using Twitter changing? Nor would I wish to risk a classification. But there do seem to be a few things going on in the way we are using twitter (or at least the people I follow). There are far less of the straight forward “good morning Twitterverse” or “had a great lunch” or “tired and going to bed now” type tweets. u suspect this was a leftover from the Facebook status update days (in the same way few people are bothering to update their skype status nowadays). Have we simply become bored with our own mundane lives? And Paul is right – most of the tweets I receive do seem to be on points of substance and many point to a resource. This may be due to the increasing use of sophisticated Twitter clients and to cross application linking through the API (e.g posting Diego links to twitter). Twitter is becoming a rich repository of links to resources. However discovery remains problematic and harvesting is tricky due to lack of longevity. This is all to the good. But I am increasingly missing the social nature of Twitter which also seems to be on the wane. We are using twitter for reporting and shouting out but does it still retain the social and collaborative nature of its early days? Of course there remain the odd maverick – @johnpopham’s #uktrains series is strangely compulsive. But as comments on the blog pointed out such taxonomies are far from people friendly. is there a trade off between machine readable functionality and human and social uses of media? Twitter is an interesting platform because of the wide affordances in its social use. The changing ways in which we are using Twitter may point to the evolution of the use of wider social media in the future. The invitation continues: “Before giving you instructions on what we are asking you to do, we would like to briefly introduce the context and methodology of the study. The project team is made up of researchers from the European Commission Institute for Prospective Technology Studies (IPTS) in Seville; TNO, the applied research and technology organisation of the Netherlands; the Open University of the Netherlands; and AtticMedia, a specialist learning communications agency from London. This team will, over the next 12 months, develop a number of visions and scenarios on the future of learning and review their implications for policy making. As a first step in this project we would like to invite you as an expert to contribute to a vision building process using the group concept mapping method (GCM). As communicated in the invitation, you will be involved online (using e-mail) in two stages of the methodology, namely (a) individual brainstorming of ideas and (b) individual sorting and rating of ideas. In the brainstorming phase you will be asked to generate ideas about specific aspects of education of the future. This phase will typically take between 10 and 15 minutes. A week later, you will receive an aggregated list of ideas generated by all experts involved to, first, sort the statements in groups of similarity and then rate them on some scales (e.g. importance and feasibility). If you would like to know more about the GCM methodology, a short description with examples from various projects is attached to this e-mail (Concept System Introduction). Those of you familiar with the classical concept mapping approach, will probably notice substantial differences with the GCM methodology. Please read the following instruction for the brainstorming phase of the study carefully. We all have the feeling that education in 20 years will have to be different from education today. Education then will possibly deal with a new set of skills and competences, new curriculums or types of curriculums, innovative ways of learning and assessment, different roles for teachers and educational institutions, different impacts of technology, just to mention a few. I am not sure about my qualifications as an expert in this study, nor indeed that experts are the answers to such a study. 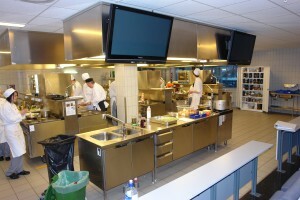 Pontydysgu is involved in a number of European projects. Typically, these projects involve partners from five or more organisations in different countries working together around a hared work plan. Projects can last from two to four years. One of our main roles is to provide technologies to support project development. This is not unproblematic. Whilst three or four years ago most projects were content with a simple web page giving access to project objectives and results, we have been trying to use technology to improve collaboration between the partners, who due to distance will usually only meet face to face two or three times a year. Levels of experience and confidence in technologies varies greatly. One of the biggest changes in the last two years has been the use of Skype and Flash Meeting for regular audio and video communication between meetings. Both are far from ideal. ‘Can you hear me?’ is still the most common sentence to be heard in many of these meetings. Talking participants through the Windows microphone and video set up panels is still a pain. But overall the use of such simultaneous communication tools has changed both the form and intensity of collaboration. We have also seen a slow move towards using multimedia. The days when the outputs of projects were limited to downlaodable Word or PDF files is passing. More and more project members are experimenting with podcasts and video, although once more levels of expertise and confidence vary greatly. Platforms have remained problematic. We experimented with ELGG and Joomla before moving to WordPress. The problem with all is that they were really too difficult for project participants to use. We largely failed to break the pattern to project partners ending us their content to put on the site. And without regular participation, project web sites remained largely static, with only flurries of activity as they were updated. We have also experimented with social software platforms including Ning and Facebook. Ning is relatively easy to use, although limited in terms of design etc. And critically you lose control over your own data, when using externally hosted applications. Facebook groups are great for notification of events etc. but offer little else. Ownership issues are even more problematic. We have also initiated a number of bulletin boards but these once more require a critical mass of activity before they really become of social use. The reason we have looked at these platforms is the desire for more sociability in platforms for projects. That includes the look and feel and ease of use, but especially the foregrounding of presence. Who are the members of a project or network. Who are they working with? What are their interests and what are they doing? WordPress blogs are great but the reality is that few participants can be dissuaded to blog regularly on a project platform.We customised WordPress with a plug in called Freefolio and that helped in terms of showing presence but it was still hard showing participants remotely how to use the back end of WordPress. Our latest experiment is with the Network for Trainers in Europe website. Provide an opportunity for exchanging experiences and knowledge though an easy to use web portal. Enable policy makers, managers and trainers to access ideas, materials and opportunities for professional development. Undertake a small-scale survey of the work of trainers and their professional support. Provide access to research and ideas through the organisation of workshops and on-line conferences. Enhance the quality of support for trainers by sharing effective practice. Stimulate new approaches to the training of trainers related to the concept of lifelong learning, knowledge sharing and peer learning. Encourage researchers and trainers to share information and materials based on practical experience. Bring together research and practice from different projects and initiatives throughout Europe. Essentially the network is designed to bring people interested in the training and support of trainers together to share materials and experiences. We have migrated from the previous WordPress Freefolio site to Buddypress. And although the site is by no means finished (especially the stylingl, NB setting up new accounts is suspended at moment but will be back on by the weekend), I am enthusiastic about the potential of Buddypress. Firstly Buddypress is centred around people and the activities of members, offering much functionality often associated with commercial social software sites. secondly it is easy to use, with little need for users ever to go to the back end. thirdly, through the affordances of the individual and group wires (walls), friending etc. it makes it easy for members to contribute through gesturing rather than being forced to write substantial blog posts. The proof of the pudding is of course in the eating. Will members use the new site. To some extent that will depend of what activities the project undertakes. But it will be very interesting to see if the use of a full blown social networking application can lead to enhanced communication and collaboration between researchers and trainers drawn form every European country. I have often written about personal interest as a motivator for training. But a big problem for many is gaining access to learning opportunities. Yes, open education and the proliferation of open elearning mate rails plus social networks offer many opportunities for learning. But, especially in vocational education and training, learners often require access to equipment and facilities, as well as to learning support. Employers are reluctant to spnosor learning and training is usually one of the first casualties of a recession. Regulation is a possible answer in this respect. It is notable that in Germany where many occupations are regulated, vocat6ional training is both more popular and carries a higher scoail expertise than in the UK, where regulation is limited. Regulation can be important not only for providing access to training, but in improving health and safety and living conditions for workers. Over the last three months Pontydysgu has been working in a consortium looking to improve training for ships cooks. However, for the maritime industry the main concerns onboard have often been safety, wages and job security. How seafarers eat while at sea is not given much thought. Too often the meal programme is either an afterthought or not even considered by employers. But access to healthy food on board is essential for “fitness for duty” and is good business leading to gains in productivity and seafarers morale, prevention of accidents and reductions in health-care costs. Adequate nourishment can raise productivity levels by 20% and 1% kilocalorie increase results in 2.27% increase in general labour productivity, according to ILO research. Present onboard lifestyles are not healthy. The MAT-IQ study showed seafarers have between 70 – 100 % more tobacco abuse than general the population, undertake few physical activities and have a bigger intake of “empty calories” (fat, sugar etc.) than the general population. More than 50% are dissatisfied with food onboard. Now the Maritime Labour Convention (MLC) is set to change this. The MLC is a global instrument known as the “fourth pillar” of the international regulatory regime for Quality Shipping, complementing the International Maritime Organisation key conventions on safety, education & training, and pollution prevention. Under the MLC it is becoming mandatory for shipowners to ensure that seafarers are served with food of appropriate quality, nutritional value, quantity and variety such quality food is provided free of charge. Ship’s cooks and catering staff must be competent and must be trained and qualified. Training courses must be approved or recognized by the competent authority, which covers practical cookery, food and personal hygiene, food storage, stock control, environmental protection and catering health and safety. Furthermore, shipowners must consider the implementation and promotion of health and safety policies and programmes including risk analysis and training to seafarers. Pontydysgu are particularly interested in how elearning and mobile learning can contribute to training ships cooks. More on this in a future post…. Last week I wrote about Framing Curricula for Open Education. In the past few years it has become common to describe curricula in terms of outcomes, rather than the more traditional learning objectives. On the face if it, this makes sense. Whilst learning objectives might be said to describe the teaching and learning environment from the viewpoint of a teacher, outcomes describe what a student or leaner can achieve following a programme. However the definition of learning outcomes is problematic and contested. Yo a certain extent this reflects different ideas about teh purpose and intent of education, but just as in the debate over Open education, it masks ideological differences. The European Commission has devoted much work to the development of the European Qualification Framework, designed to allow comparability of qualifications (and thus mobility). The EQF is based on qualifications described in terms of learning outcomes. Skills ‘means the ability to apply knowledge and use know-how to complete tasks and solve problems’ (ibid.). A distinction is made between cognitive and practical skills. Knowledge ‘means the outcome of the assimilation of information through learning. Knowledge is the body of facts, principles, theories and practices that is related to a field of study or work’ (ibid.). In the EQF, knowledge is described as theoretical and/or factual. Such a description of competence is more akin to Richard Hill‘s framing of curricula in my article of last week in which he talks of the need to develop “a curriculum that enables individuals-in-communities to learn and adapt, to mitigate risks, to prepare for solutions to problems, to respond to risks that are realised, and to recover from dislocations”. Sebastion Fielder has also addressed this issue in work undertaken for the iCamp project. “Like the more traditional concept of ability, competence conceptualizations are generally referring to an individual’s potentiality for action in a range of challenging situations. It is thus a concept that foremost indicates a precondition for future problem solving and coping (including the use of adequate tools) in a particular area of action. The more elaborated contemporary conceptualizations of competence are best understood as a programmatic attempt to expand older notions of what constitutes the necessary dispositions for successful problem solving and coping in a given area of action. In general what used to be emphasized was the role of well trained, standardized, and largely automated procedural skills and of factual knowledge for successful problem solving and coping. Now, this emphasis is increasingly coming under scrutiny, since situational challenges in many work and life contexts cannot be mastered by applying routine procedural skills and knowledge anymore. Instead, the changing conditions for life and work produce situations that can be described as dynamic, complex, open-ended, and ambiguous, and that regularly require novel, creative and sometimes surprising solutions. This is where the old notion of qualification that is based on requirements analysis oriented in the past and on the acquisition and performance of standardized procedural skills and factual knowledge clearly shows its limits. In many ways this fits in with Vykotsky’s ideas of Learning through Zones of Proximal Development. Vygotsky said that people must be able to use words and other artefacts in ways that extend beyond their current understanding of them, thereby coordinating with possible future forms of action. “If we ask what makes such intermental functioning possible, we must certainly speak about issues such as context, the existing level of intramental functioning, and so forth. However, there is an essential sense in which intermental functioning and the benefits it offers a tutee in the zone of proximal development would not be available if one could not perform, or at least participate in performances, that go beyond one’s current level of competence. In this sense, social interaction is not a direct, transparent, or unmediated process. Instead, it takes place in an artefact-saturated medium, including language, and this is a point that Vygotsky took into account in a thoroughgoing manner” (Cole and Wertsch, 1996). This debate over the nature of competence is a further key aspect of developing an expansive idea of Open Education. When we talk about ’social networks’ we don’t just mean facebook and twitter. People have always functioned within networks, and these have always been important in the development and spread of ideas. James Fowler makes this same point in his interview with Stephen Colbert. Ideas diffuse through networks. The structure of the networks through which we are trying to get our ideas to spread has a significant influence on the diffusion of our innovations. Our connections within the network can enhance or hinder our ability to get our ideas to spread. One of the reasons that Darwin gets credited with the idea of evolution through natural selection instead of Alfred Russell Wallace is that Darwin’s connections within the scientific community at the time were more numerous, more widespread, and better. Of course Tim is right in saying that social networks are not new. But it may be worth considering what has changed through the spread of social software powered networks. One change is speed. I do not know how fast the post was in the 19th Century (probably no slower than today 🙂 ) but today’s communication is almost instant. When I have finished this post I will press the publish button and the article is in the open. I wonder though if the speed of communication is leading to less reflection on what we are writing. There are changes in power relations. Notwithstanding Facebook’s claim to own our data and to control our privacy, today we can all publish our ideas, rather than in the past when publishing was limited to those with money or to selected researchers and writers. Moreover Twitter, blogs and wikis have opened up access to ideas. Perhaps more important than access to scholarly writing such as papers is access to discourses as they happen. Of course, the use of new media raises the question of form and content. I can very much imagine that Darwin would have loved to have a wiki for his research. I can imagine him blogging from his iPhone in the Guadaloupe Islands. Twitter could have been useful for sending messages back home but I am not so sure it has the same affordances as a letter. Mind, Jo says Darwin might have Twittered “Got new theory, check out my new blog on it”. I am not so sure. One question which would be very interesting to see is the patterns and interaction between social networks. My guess is that today we have denser patterns of overlapping networks – though I may be wrong. And one of the most interesting things about today’s forms of social networks is the straying between discipline areas. Whilst I guess 19th century networks tended to be organised in fairly strict disciplinary or subject groups, today’s networks tend to wander across different subject areas and domains. It seems Time Kasteele is in the French department at Stanford. And when his video came to an end up came the video on Welsh and the importance of minority languages which we are currently featuring featuring on the front page of this site.